If he meant to provoke, he succeeded. Austrian Interior Minister Herbert Kickl's comments against the European Convention on Human Rights ECHR drew a sharp rebuke from government officials and President Alexander Van der Bellen. When asked by an Austrian public broadcaster whether curfews for asylum-seekers and speedy deportations could violate the rule of law, Kickl referred to the rights conventions saying that there are "strange legal structures, sometimes many years old and developed under totally different circumstances, that prevent us from doing what is necessary. I would like to take on those rules." Kickl, of the far-right populist Freedom Party (FPÖ), then made the statement that drew the most ire: "I believe that it is up to the law to follow politics and not for politics to follow the law." He found little support outside his own party. "The ECHR has had constitutional status in Austria for 59 years," Van der Bellen wrote on Twitter without explicitly naming Kickl. "Calling it into question would mean the end of the fundamental consensus of the second republic." That is, Austria as it has existed since World War II. 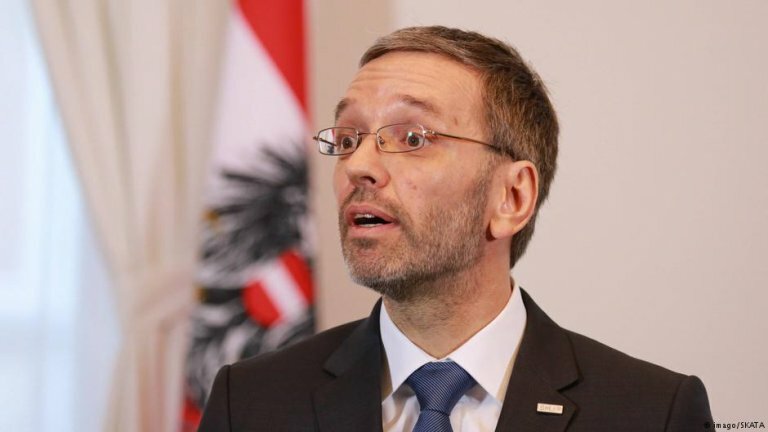 Justice Minister Josef Moser from the FPÖ's larger coalition partner, the Austrian People's Party (ÖVP), also distanced himself from Kickl's statement, saying that the European Convention on Human Rights has stood the test of time and should be observed. "We all need to heed requirements of international law," he said. The FPÖ and ÖVP have been governing Austria since December 2017 under Chancellor Sebastian Kurz. 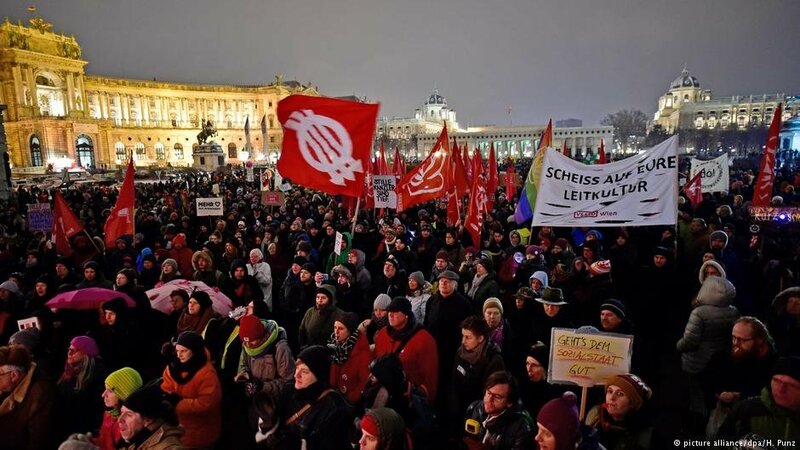 Amnesty International Austria accused Kickl of failing to uphold his responsibilities, putting his own ideology above fundamental human rights. "We see him as possessed by power, having lost all contact with his duties," Amnesty Austria Director Annemarie Schlack told DW. In Schlack's view, Kickl's comments were not a slip of the tongue, but a thought-out strategy. "He's made similar comments before, when he was the FPÖ's chief ideologue," she said. "And we've seen attacks on human rights pile up." Attack on rule of law? Austria's opposition has demanded Kickl's resignation. Jörg Leichtfried, a former transport minister from the Social Democrats (SPÖ), said politics should never come before the rule of law. "Interior Minister Kickl has carried out a heavy attack on Austrian rule of law," he wrote on the SPÖ website. For many observers, Kickl's comments sound absurd in light of the falling number of asylum-seekers in the country. In 2018, 12,529 people applied for asylum, a 46 percent decrease from 2017, according to Austria's Interior Ministry. Austria has often found itself as asylum-seekers' first port of call. The most recent group of people looking for safety in Austria came in 2015 when some 89,000 asylum-seekers, mainly from Afghanistan and Syria, arrived in 2015. 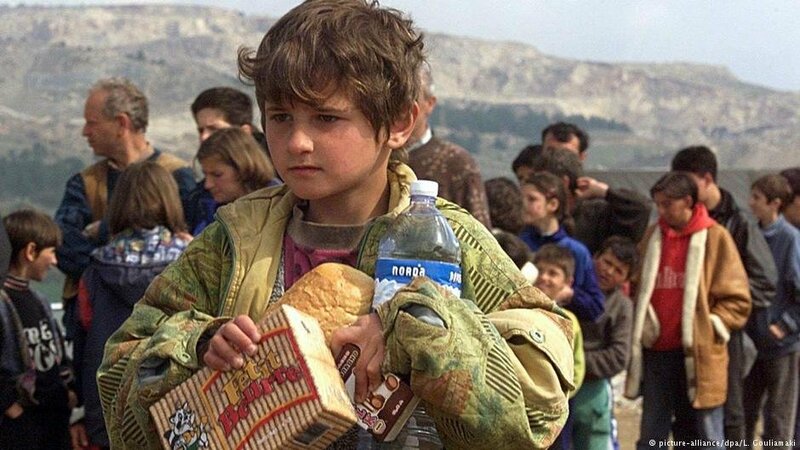 The 1990s saw Austria near the frontlines of Yugoslavia collapse and descent into war. Austria took in 90,000 Bosnians. Similar scenes had unfolded in the 1960s, when 200,000 Czechs arrived. Even earlier, during the Hungarian crisis in the 1950s, about 170,000 Hungarians sought refuge in Austria.